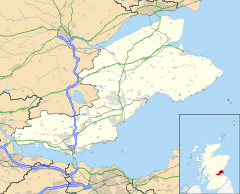 Bruntisland (Inglis: Burntisland) is a ryal burgh an pairish in Fife, Scotland, on the shore o the Firth o Forth. ↑ "Scotland's Census 2011- Burntisland Locality Area Profile". www.scotlandscensus.gov.uk. 2011. Retrieved 20 March 2014. This page wis last eeditit on 19 Juin 2017, at 22:05.